How do you create the world's largest monolithic optical mirror? As the saying goes, “One bite at a time.” It is a unique process in that it is entirely linear. No aspect of the process can be done in parallel since each step is entirely dependent upon the preceding step. Upon my retirement from the Army I did the typical Law Enforcement track. It only took a year with the Sheriff's Department to realize that I just didn't want to carry a gun anymore. While looking around for a challenging alternative I ran across an ad for a “Mechanition” (Read Gofor) at the Steward Observatory Mirror Lab. I was intrigued and applied for the position. A springtime rite of passage started here two years ago. It started in the April 2017 edition of this e-column, when I challenged readers to find the dwarf galaxy Leo I. Leo I is one of many dim dwarf galaxies gravitationally bound to the Milky Way. The fact that its surface brightness rates only 15th magnitude, coupled with its position just 20' north of Regulus makes Leo I a tough challenge to land. Will the real NGC 2363 please stand up? For years, there has been an ongoing debate over the true identity of the 2,363rd entry in the New General Catalog. I’ve long preferred to have images—and/or drawings--of deep sky objects near my atlas, observing list, and, of course, my telescope. David J. Eicher’s The Universe from Your Backyard (1988) was an early, well-loved companion of mine, as was Burnham’s Celestial Handbook. So was the self-published 1994 John C. Vickers’ Deep Space CCD Atlas: North (and South). Vickers’ CCD atlases are images only, and rather primitive ones by today’s standards; but the atlases were not meant to be a compilation of ‘pretty pictures’; but rather a source of black and white images of interesting deep-sky objects that amateurs might want to hunt down with their warm, moist eyes, or sub-ambient-temperature imaging equipment. Enter the above masterpiece! Sometimes life’s greatest treasures are the unexpected. That’s how I feel writing this article. It was relatively recently that I embarked on building my 20”, and it’s been only six months since I penned the article on my 16”. Since that article, I’ve grown not only as an ATM, but also as a person and as a writer. I thought I’d share that growth here. ‘Tis the season of giving, after all! A lot of ink has already been spent on this subject since many astronomy enthusiasts are wondering what the actual gain is observing with both eyes instead of only one. Let me begin by saying that this whole discussion is fairly pointless because observing with both eyes is a completely different experience than observing with only one. The feeling of total immersion that not even a 150° eyepiece can ever offer, the strange 3D-effect, the joy and relaxation of using both eyes… Personally, even if there were no light gathering gain at all I’d opt for a binoscope, regardless the expense. On the other hand there are people who’re having difficulties observing with both eyes. And finally there’s the big unknown factor: the human brain, which is both unpredictable and personal. So what’s the use of me writing this article? 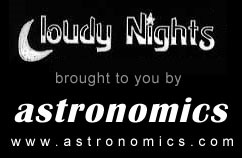 Because we astronomy enthusiasts have the unstoppable need to quantify everything. How much more can you see with a 14” telescope compared to a 10”? How does a refractor compare to a Newtonian (please, no, not again…)? Or… how much more can you see with both eyes? So here I go… explaining my 2 cents on this, for what they’re worth. Some thoughts on Springfield mounts.